Nintendo has announced that Mario Tennis Aces update version 2.0.0 will be pushed live next week, news that was shared in this week’s Nintendo Direct presentation. After downloading the free software update on Tuesday 19th September, you will be able to play the new online Co-op Challenge mode. In this mode, players will team up to participate in time-limited missions. If you complete set objectives while these missions are active, you can unlock special outfits, characters with alternate colour schemes and more. 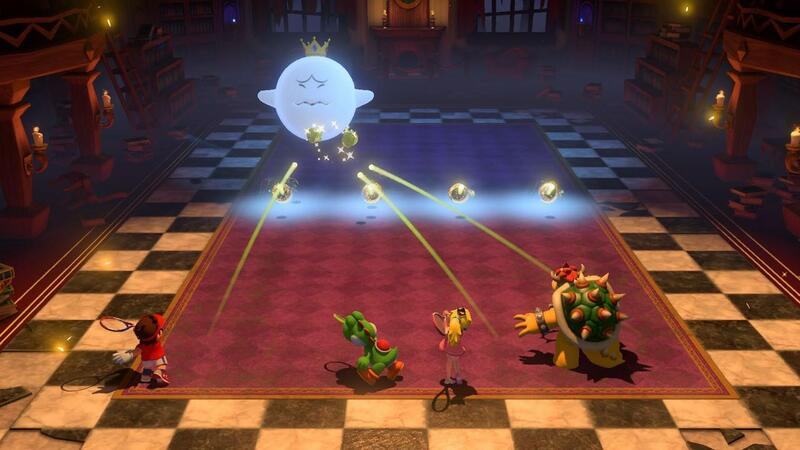 It was also revealed that characters like Birdo, Shy Guy, Koopa Paratroopa and Petey Piranha will become playable in the coming months – which you will likely unlock in the monthly online tournaments as with the other characters.